The course is 18 holes par 63, is set in a secluded valley only minutes away from the clubhouse. Because of its technical layout it will favour the accurate rather then the bold, you do however get the possibility to take out those woods on several occasions. The course is a perfect setting for those players that do not have time enough to play your usual 4.5 hour round, golfers that are looking for a course where they can gain a little more confidence. Because the course is shorter then your average golf course it is especially suitable for parents with children. 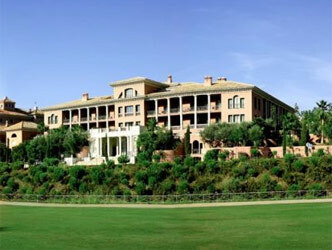 Obviously they course also counts on what is generally known as one of the best maintenance teams in Spain! !